Vaccine Memes – Who says Anti-Vaxxers have no sense of humor? Who says Anti-Vaxxers have no sense of humor? 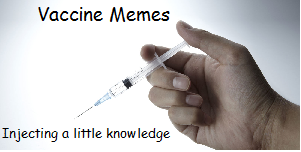 Welcome to Vaccine Memes! Started as a Facebook page, the point of this site and page are to have many vaccine related memes, information, stories and more all in one place. Feel free to browse and we always welcome contact and suggestions. This site will be constantly growing and updating so stay tuned for the content to come. Also, due to the way WordPress is set up, all posts will end up under the Memes and Beyond page, but categories are set up under each page for you to see these things separated by topic. Sorry for any confusion. Feel free to reach out with any questions.